Kaneohe's #1 residential & Commercial water, fire, & mold restoration services. 24/7 emergency service! From unfortunate floods to household leaks, don’t fret, we’ll take care of it! 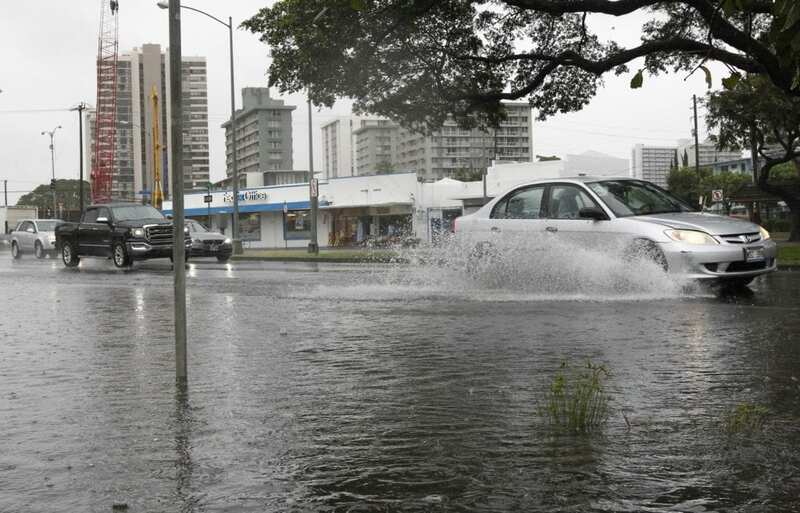 It’s not surprising if you need expert water damage restoration in Kaneohe, as the area is sometimes hit by strong rains that lead to flash floods. That’s what happened in February of 2018 when houses in the neighborhood took significant damage due to overnight rain. But the need for expert water damage restoration in Kaneohe isn’t just due to the occasional flashfloods. Sometimes water damage is caused by more commonplace reasons, like a puncture in the roof or having your plumbing pipes burst. These things occur more frequently than we think (or hope). But in the end, we still need to have the water damage addressed, regardless of what caused it. If that’s the problem you have, then contact us at Rescue One Restoration and we have the solution you need. We can give you a quote on how much the service will cost. We are not a new restoration service in the industry trying to establish a reputation. In fact, we’ve been in the business for more than 3 decades, and we certainly have extensive experience dealing with water damage. We know how to deal with clients professionally and courteously, and we are aware of how water damage can affect a home if it’s left unattended. Our water damage technicians aren’t only well-trained and experienced, we also have the licenses and certifications to prove it. We use the latest technology to make sure that we eliminate the moisture in your home so that we can stop the growth of mold and mildew and prevent the rotting of your frames. We can remove the water from flooring, wall cavities, and places that are normally hard to reach. If you call us when mold growth has already begun, we still have the expertise to get rid of the mold in your home and eliminate this health (and aesthetic) hazard. Did the water damage affect your important documents and beloved photographs? Have us take a look at them, as we may find a way to still salvage them. You can contact us at any time. We don’t take a break, because we know that water damage can occur at any time and they should be dealt with ASAP. It doesn’t matter if you call us in the wee hours of the morning on a holiday, as we will still be there to your home promptly. Sometimes it’s important to get your stuff out of the home. This can prevent further damage and it also allows us to fix up your home more efficiently. We can help get your furniture and personal items into a secure storage location off-site. As we have been in the business for a very long time, we certainly have experience dealing with insurance companies. We can help you file a claim so you won’t have to pay too much out of pocket. Despite all that we offer, our rates remain reasonable. Call us at Rescue One Restoration at any time, and we can give you the quote to prove it.